Dina Mousawi and Itab Azzam have created something to treasure: a practical recipe book that allows us to create at home some of the most delicious cuisine in the whole Mediterranean region, interwoven with the profoundly moving stories of the women who have taught them the recipes, all served up with wide variety of memories of Syria. It’s a combination that might sound tasteless or hard to stomach — and it surely would have been, if done badly. But in the capable hands of these women the topic is always handled with exactly the right balance of reverence, realism, compassion, and humour, and therefore it does, somehow, feel appropriate to keep returning to the eternal, essential, life-sustaining realm of food. 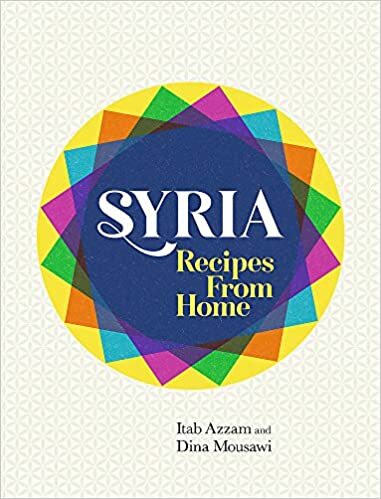 The gift this book offers us is to expand our vision of the Syrian people, beyond the headlines, whilst learning the culinary secrets for which they are famous. From simple dishes one can learn to throw together at the last minute, through to complex feasts, from rich meats to vegan treats, there is a vast array of dishes presented here to suit most palettes, budgets, and levels of dedication.